A large-scale collective VR theater where 50 visitors at a time could enjoy a hyperreal 4D experience. To achieve full immersion four areas were blended: a 360 film, motorized chairs, binaural sound, and perfect synchronization of all the pieces. 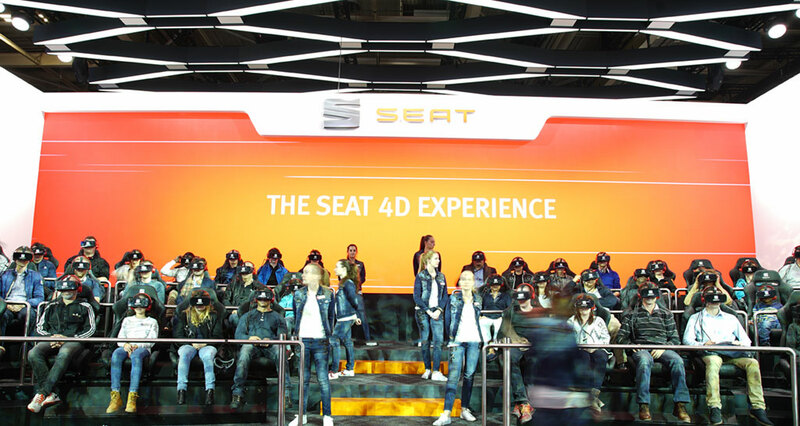 More than 13,000 people enjoyed this technological theater by which there was a perfect synchronization of the 360 film, together with the motorized seats, to create a flawless physical-digital experience. Presented at the Paris Motor Show 2016 for the Seat Ateca campaign. Project done with Wildbytes for Ogilvy Barcelona.